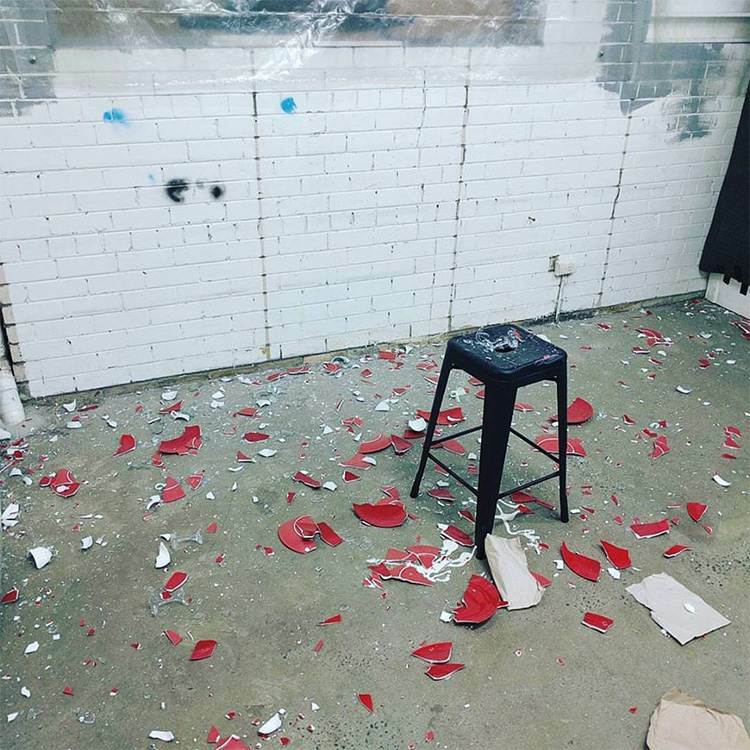 In case you hadn’t heard, there’s a place in Melbourne where, for $50 a pop, you get to unrestrainedly smash the crap out of a whole bunch of stuff. Only in Melbourne would you get this sort of thing of course, because Melbourne is the best when it comes to innovative and new ideas. 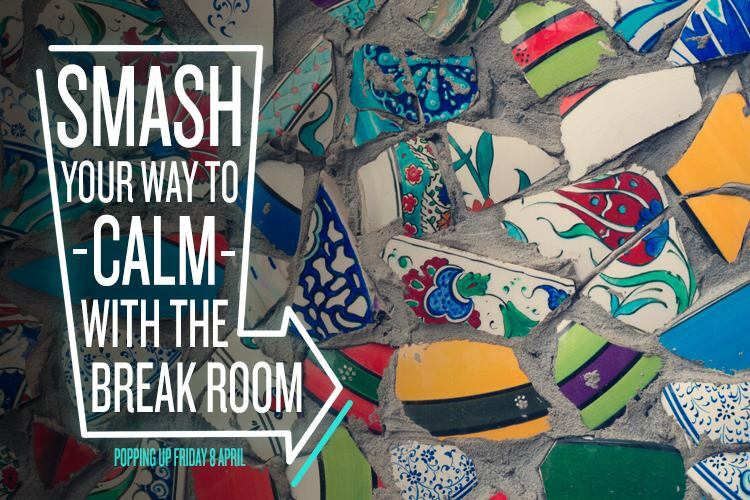 The first of its kind in Australia, The Break Room provides you with a fun way to get rid of all the stress and frustration you might be feeling. It’s even backed by science (sort of)! For example, when you enter the room, you’ll notice that the baseball bats you’re handed are a lovely, soothing pink. As some of your designer friends might be able to tell you, that pink is called Baker-Miller Pink. It’s actually been used in correctional facilities across America and has been proven to significantly decreased hostile inmate behaviour. How cool is that? Looks like someone’s been having a good time! We have the magnificent Ed Hunter to thank for all of this. He originally heard about break rooms on a podcast and just couldn’t shake the idea (and boy are we glad). Hey Ed, thanks for having a chat with us. Can you tell us a bit about your background and why you created the Break Room? It seems like a pretty unusual career jump! The Break Room came out of me going through my own stressful life events and wanting a way to release the pent-up frustration. I’m not an angry person in the least but wanted a space where I could let loose and fulfill the fantasy of breaking something. I work as a Project Manager so was very used to be in control of situations and dealing with stressful times. 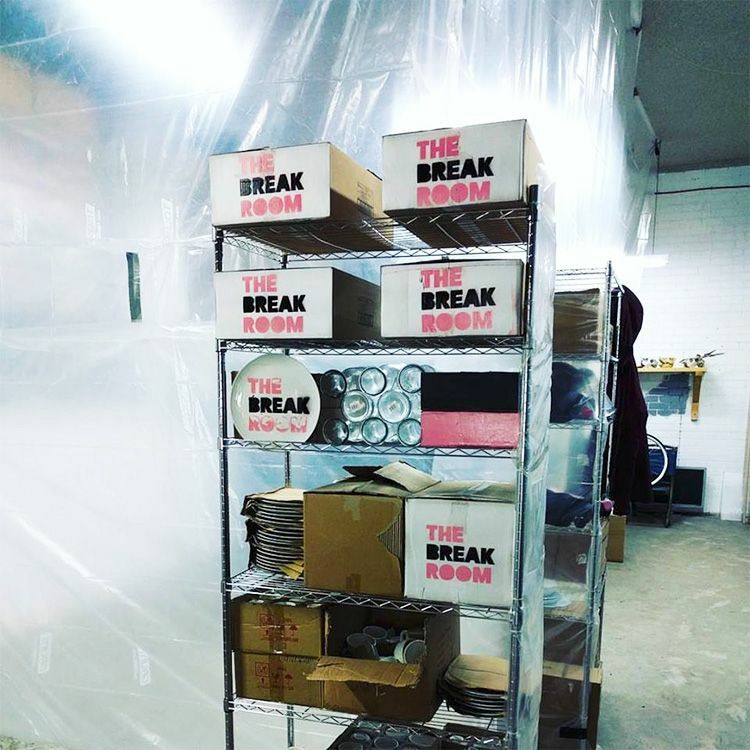 Creating The Break Room was a challenge in itself as while it gave me an outlet, it is also something I can only control to a certain extent. I can explain the rules, provide a safe environment, provide safety gear and have waivers but once the person has the bat in their hand, they are in control of how they spend their time. I’d talked with quite a few people about the idea beforehand. Have they ever wanted to break something? What was it? Why did they feel that way? and so on. It all crystallised when I heard about the concept on a podcast. From there it was me putting everything in place so I could make The Break Room a reality. Safety comes first at The Break Room – visitors are provided with a safety visor (or motorcycle helmet), thick cotton overalls, gloves, and steel-capped boots. It’s great that you’re giving people a chance to release those pent up frustrations but where do you get your “breakables” from? Around the corner from our first location was a crockery wholesaler which was closing down. The crockery they had had been sitting in warehouses for a long time and was destined for the tip. We bought a lot of it and gave it one last use before it goes to a recycler. We understand how wasteful this activity is so we’re looking at ways we can use objects which are near the end of their life-cycle and which can then be recycled or put through another use. What has been people’s favourite thing to smash? People have had differing opinions on what they love to smash but the two big contenders are plates and carafes (tall water jug). Both are really satisfying in terms of giving a bit of resistance when it and the debris they create. Frizzbeeing a plate against the wall is also very, very, fun. Now we’ve heard of champagne towers, garden gnomes and ice cream cakes but if you could break anything at all, what would be your ultimate smashable? A common thing for people when they come to The Break Room is to be a little nervous when they first arrive and when they’re lined up to break their first object. It’s completely understandable as it’s taboo to smash something, especially on purpose. Once they’re over their initial shyness, then they kick into gear, loving the whole experience and working up a sweat. 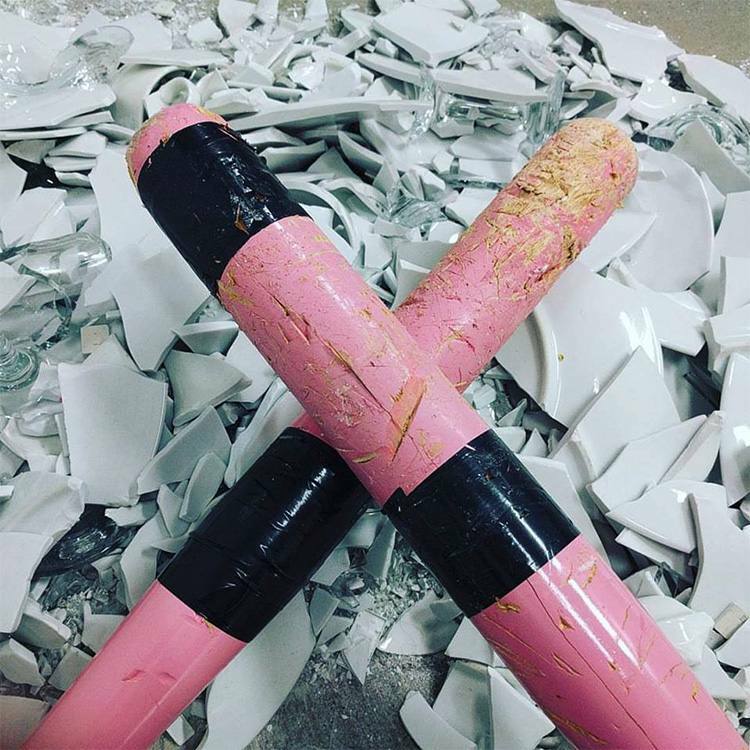 Breaking that taboo is what makes The Break Room fun, and one-upping it by breaking something expensive or irreplaceable would be an intense experience. There’s no doubt The Break Room is fun but why do you think it’s been such a success? The Break Room has done so well so quickly because we’re the first of our kind in Australia. Being such a new and interesting activity has meant we’ve been able to gain a lot of attention and gather a lot of feedback from people. The Break Room is only limited by our customers’ imaginations and that’s something which we are working towards. Lots of people had a destructive fantasy and it’s for us at The Break Room to help you fulfill it in a safe environment. How about you Ed? What do you like to do to get rid of that pent up stress and frustration? Do you ever go into the Break Room yourself? I definitely use The Break Room to blow off steam and get rid of pent up stresses I have. I’ve always found a long walk and a quick chat with myself works wonders. The Break Room is great to achieve the same level of physicality, just in a shorter time. On particularly stressful days when I’ve used “colourful” language, I’ve actually asked that we try and soundproof rooms in the future, more so our customers can do the same without worrying others will overhear. 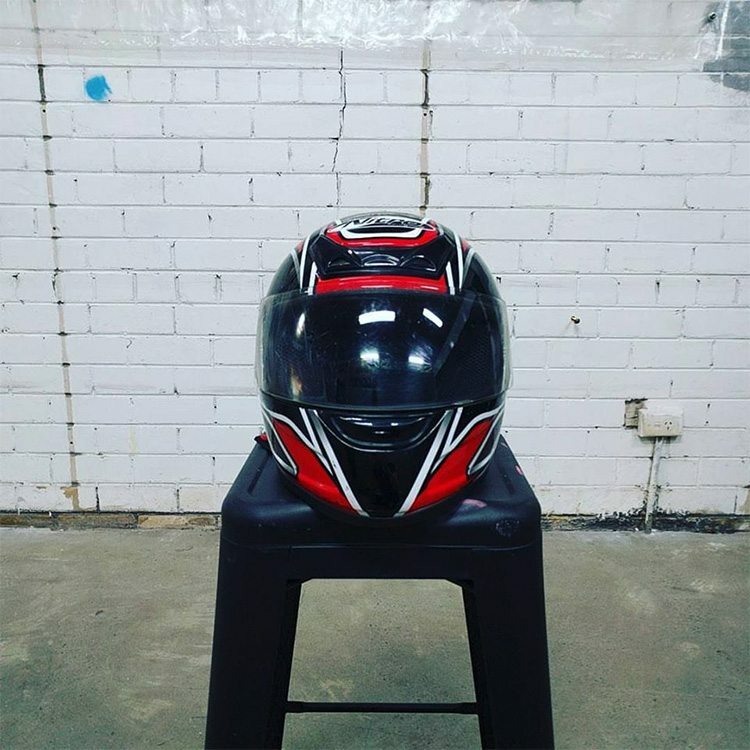 Although their Brunswick pop-up has closed, The Break Room’s doors will be re-opening on the 8th of April at the Collingwood Mastercraft Warehouse.